Are Atheists the Intelligent Ones? This kind of thing is laughably fallacious. Every once in a while, someone will hit me with the claim that they are smarter than Christians simply because they choose to disbelieve that God exists and what the Bible says about them (Psalm 14.1, Proverbs 1.7, Romans 1.18-22). They are ignorant (willingly or otherwise) of the fact that some of the greatest intellects of all time have been Bible-believing Christians. Further, I have had some giggles by eviscerating fallacious remarks by someone claiming to be smarter than us st00pid dumb Xtians. My feeling is that people make this kind of claim simply to bolster their fragile egos and to gain some self-worth, which should come from a relationship with the Creator of the universe. By the way, it is ridiculous to worship the intellect, as if that was the sole measure of someone's worth! So far, 2012 has been a bad year for atheists and evolutionists. But you wouldn't know it, the way atheopaths are attacking anything Christian and trying to destroy it. (It's been tried for centuries, so we're not going away until we're all called home.) But loud misotheists and evolutionists still resort to childish stalking, tantrums, persecution and all sorts of other nonsense. With the assistance of political correctness and leftist activist judges, they have managed to make the public at large detest them even more. But it is not always bleak. Christians have preached in decadent New Orleans for quite a long time. 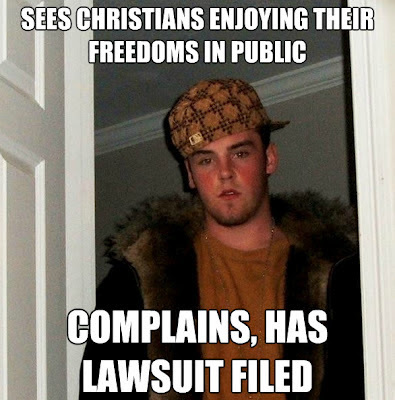 But the police there tried to put a stop to their exercise of free speech and freedom of religion. The ordinance was blocked by a federal judge (there are a few with some sense), pending the outcome of a hearing. The atheo-fascist activist "Freedom from Religion Foundation" wants to strip away the rights of students in the Kountze Independent School District. The students put up banners at game time. The students did it. But no, that's not permitted. 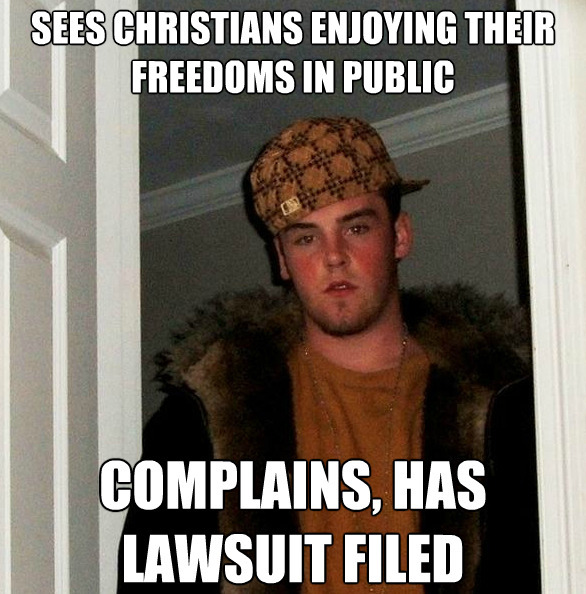 The Liberty Institute took up the challenge, and won a restraining order. It may change, but it's a start. Using children in their anti-God hate agenda is beneath contempt.